Facebook just recently introduced hashtags to its social network, and emphasized real-time content repeatedly in a press event about its News feed yesterday, and now it’s testing another feature seemingly inspired by Twitter: trending topics. The social network confirmed to TechCrunch via email that it has indeed begun rolling out the trending topics feature. 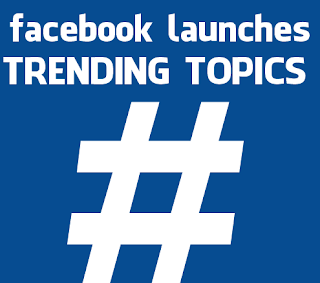 "Today we started running a small test that displays topics trending on Facebook. It is currently only available to a small percentage of U.S. users who use Facebook’s mobile web site and is still in very early stages of development. We will share more details down the line if we decide to roll it out more widely." The company is clearly quick to point out that this is an extremely limited beta of a feature that won’t necessarily make it to wide release, but for those curious the way it works is by popping up a specific topic that’s being discussed a lot at the moment, and tapping that will bring them to posts and comments related to the subject by both their network and from people they aren’t necessarily connected to who have public sharing options turned on. Trending topics have been a part of Twitter since summer of 2008, and introduced Promoted Trends as a source of revenue back in 2010. Earlier this year, it was revealed that Twitter now charges around $200,000 per day for promoted trends, making it a not-so-insignificant source of income from brands and sponsors. Facebook is emphasizing more public sharing, and attempting to become a better source of real-time information, and the addition of trends would enable it to monetize that down the road as part of increasing efforts to make money from a growing mobile user base, as well as on the web. Trending topics is more noise for the news feed, of course, which is already broken up on mobile by promoted posts and ads in addition to stuff surfaced from your friends and network. That’s likely why it’s being tested with such a small group first, as Facebook gauges how to strike the right balance between friends and family content, and real-time news and entertainment sharing. But if it does eventually roll out to all, it begs the question of what Facebook can poach next from Twitter in pursuit of its evolving identity.